The VideoKid is an arcade game that was originally released on 31st January 2017 for Steam (PC). It was then later released to play on Nintendo Switch on 30th August 2018 and on both Xbox One and PlayStation 4 on 31st August 2018. The game was both developed and published by Pixel Trip Studios. Pixel Trip Studios was founded in 2015 by Adam Jeffcoat and Vincent Kamp. They share a single vision: to make fun and engaging games. 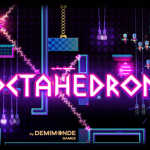 The tagline on their website reads: “We make retro indie games”, so it shows that making games like The VideoKid is where their passion lies. 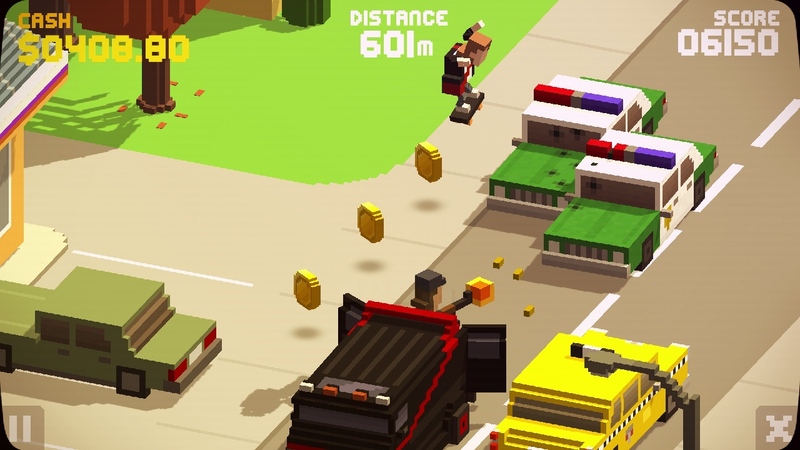 The VideoKid presents players with a challenging, fast-paced retro experience. 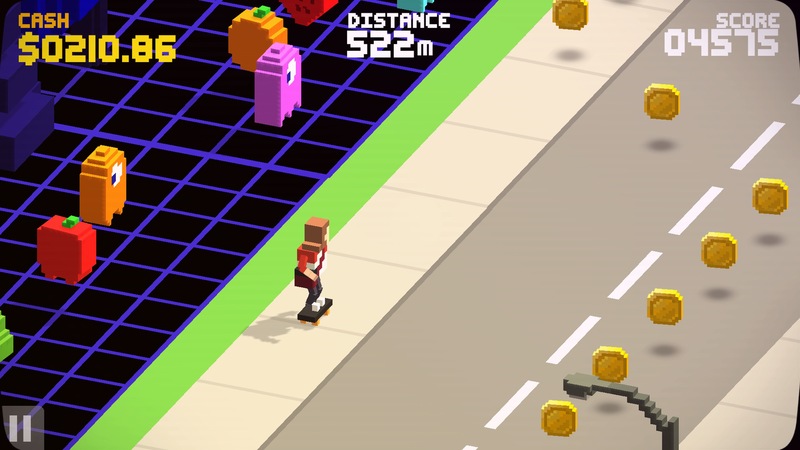 Players control a skate-boarding character delivering video tapes on their way to meet their girlfriend, Jessica, for a date. Whilst manoeuvring through the treacherous layout, you must deliver video tapes by throwing them at letter boxes. You are also distracted and blocked by other characters from various iconic films and TV programmes. There are 3 lanes to move between, and players can throw video tapes and jump over some but not all obstacles. In the Nintendo Switch version, you use the analog stick to move left and right, the B button to throw a video tape and the A button to jump. Each time players try to get through the game, you will gain coins, and players can spend the coins on different characters and in-game boosters when they return to the game’s menu. The boosters will give you different advantages, like a higher jump or a burst of auto-firing the video tapes. These can really help in times where you need to focus on what is going on around you. The greatest thing about The VideoKid is the fact that it includes a crazy number of characters. I found myself crashing into stuff because I was too busy looking at what Doctor Who or Superman was doing. Each time I play the game, I notice something new. I think every player around the world will be able to spot multiple characters from their favourite films and TV programmes. I also like the fact that you can interfere with some of the characters. For example, there is a little girl with a lemonade stand, and each time I pass her, I cannot help throwing a video tape in her face and knocking her to the ground. I know that sounds quite sadistic, but trust me, it is hilarious. The retro aspect to the game are the pixelated graphics. This is great because it makes pop culture films and TV programmes look really retro. I felt like the game really took me back to my childhood and made me think about the games I used to play. Even though the game is quite simple, it is extremely addictive and challenging. I found myself getting very frustrated but at the same time laughing at myself for tripping over a dog or something easily avoidable. The biggest issue with The VideoKid is that it is pretty much a modern day version of Paper Boy. 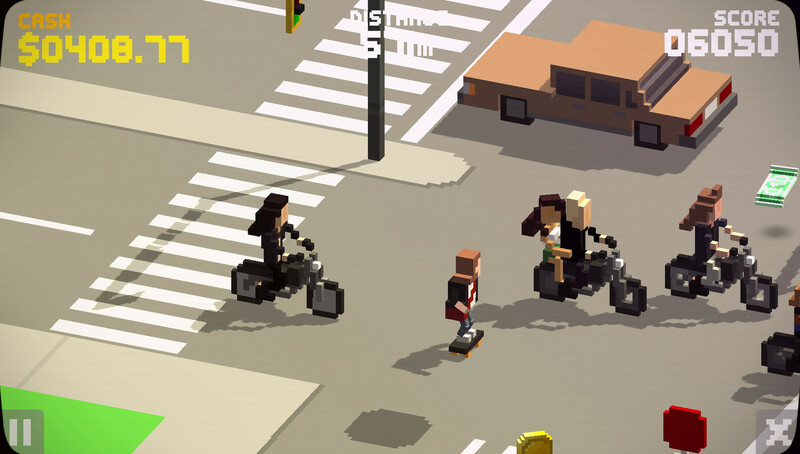 I feel like Paper Boy has just been ripped off with a load of modern-day characters thrown in. Don’t get me wrong, the game is way more complex and fast-paced compared to Paper Boy, but if you strip it down to the basics of the game, it is pretty much a copy of Paper Boy. Another issue that I have with the game is its length. I tried over and over again for a whole day to beat the level and get a date with Jessica. I finally beat it and arrived at a lovely park to meet her, but the ending is just extremely flat. Normally, at this point I would say spoiler alert, but there is nothing to spoil. It is just pure disappointment. When you get to Jessica, your VideoKid just approaches her, a love heart appears, and then the credits role up the screen. That’s right, there is only one level, and it makes you feel extremely deflated. At the end of the game, a message appears that reads “Congratulations, you have beat The VideoKid challenge”. When this appears, there is definitely no sense or feeling of achievement. I have even tried completing the level with the different characters that are available. The problem is that there aren’t many of them, and it does not fill the hole of needing more from the game. The VideoKid started off really fun and challenging. There are so many popular characters within the game from films and tv programmes. Because of this, I think the game will appeal to players all over the world. When I was playing the game, I felt very entertained, and it made me think about games I would play during my childhood. The main issues are that the game feels like a complete ripoff of Paper Boy, it is way too short, and the ending of the game left me feeling extremely deflated. The VideoKid does have some good aspects to it, but it made me feel very disappointed when I was done playing. It is not a game I am likely to return to either because there would be no benefit to returning to it. Saying that, the game is extremely cheap to buy, so it may still be worth your money to get 1-2 days of challenging fun. 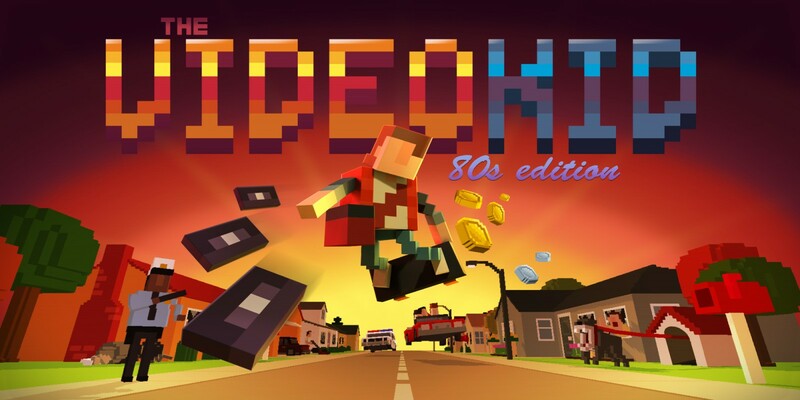 The VideoKid is a modern day version of Paper Boy with lots of distracting iconic and popular characters from films and TV programmes. 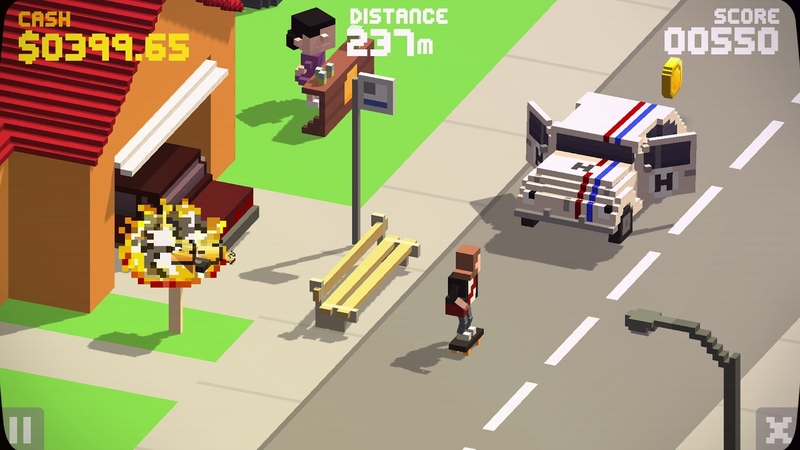 The VideoKid is addictive, challenging and fun to play but is definitely not without its issues.